Private bookies running and managing an independent sportsbook should always be looking for ways to improve the overall hold percentage on the action coming in. The hold percentage is the difference between the money you have to pay out to winners verse the money you collect from all the losing bets. In a perfect world where the losers would cancel out the winners, you would simply collect the standard 10 percent commission (or juice) on the losing bets as the profit you earn for your efforts. Unfortunately, things do not always work out that way. As long as you can consistently generate a five percent hold percentage on the weekly action you take in, you can turn a solid profit at the end of the day. One of the ways you can enhance your profit as a private bookie is by expanding your business for parlay plays and in particular NFL parlays. Avid sports bettors love parlays as a way to boost their return on investment and bookies absolutely love parlays given the built-in house edge. The standard payout on a two team parlay is 2.6/1, yet the true betting odds for grouping two winning plays together is 3/1. The more teams grouped together in a parlay, the more the betting odds shift in your favor as the bookie. Some online sportsbooks offer parlay payouts up to 15 teams because they know the actual degree of difficulty of cashing in on any parlay play is much higher than most sports bettors understand it to be. Bettors get caught up in the return. They tend to not focus on the true odds for cashing in on a winning parlay play. You can work directly with your Pay Per Head online sports betting software provider to create any rules and regulations surrounding parlay bets. It is probably best to follow the standard sports betting rules to remain consistent with the online sportsbooks you have to sometimes compete against. You will probably want to set some tighter betting limits for parlay plays. 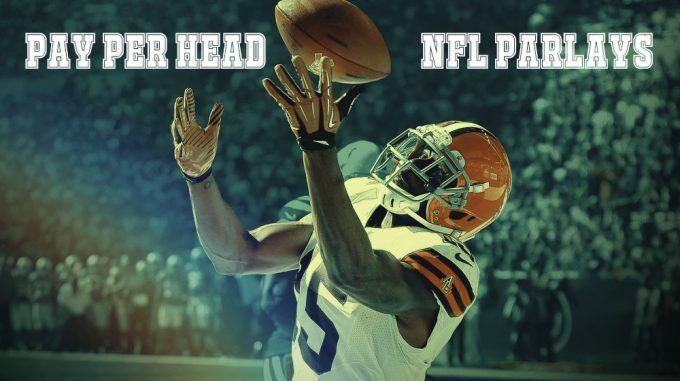 One of the unique features of most Pay Per Head betting software packages is the ability to set both betting and credit limits on an account by account basis. This provides the ultimate level of control needed to avoid any unwanted negative exposure. Promoting parlay plays to both your existing betting cliental as well as to prospective customers is easy to do with the help of you’re A1 PPH service. They can be highlighted on your betting board while also being promoted through any of the standard ways you communicate with your sports betting customer base. Since the majority of the bets you book are placed online through a bettor’s individual account, it is easy to put together a comprehensive marketing plan for increasing parlay plays or any other initiative you are looking to use as a way to drive sales for your bookie business. One of the more creative ways to enhance play on NFL parlays is to tweak the odds bit for specific team groupings. The standard payout on a three-team parlay is 6/1. The bettor can pick any three teams they want. You can sweeten the pot with a 6.5/1 return, but the bettor has to use three specific NFL teams to get the higher return. For example, you could offer a Florida Special at 6.5/1 for grouping Miami, Tampa Bay and Jacksonville into a three-team parlay play. In this scenario, you take control of the actual parlay which, in turn, should be designed to work in your favor. If Miami is playing New England and Tampa Bay is playing New Orleans, this could be another way to move some action away from the Patriots and/or the Saints as popular betting teams. This article was posted in Sportbook Reviews.